John Patton's Storm Front in my RDPipes Devil Anse. Custom made by our member of the BoB, Ron Powell. I have accumulated many pipes over the past 48 years, this Devil Anse is one of my top 3 favorites. Not for its beauty and superb craftsmanship, but for the way it smokes.....OUTSTANDING! Seattle Pipe Club Plum Pudding in my LHS smooth chubby pot with a silver band and a saddle stem. Excellent smoker!! A blend of John Patton's Storm Front 70% and GLP Sixpence 30% in my Ardor Urano Billiard Fatta A Mano pipe. This is an outstanding blend that can be enjoyed all day. A third of the way through this bowl of Amphora Special Reserve No. 2 in a 2002 IMP smooth full bend egg shaped meer with a black acrylic stem. A bottle of Sprite is my drink. Amphora Special Reserve No. 8 in a 1975 medium bend sandblasted looking, smooth on the sides yellow Pioneer meer with a black vulcanite stem. Good evening from Greece, here is another photo from my vacations. 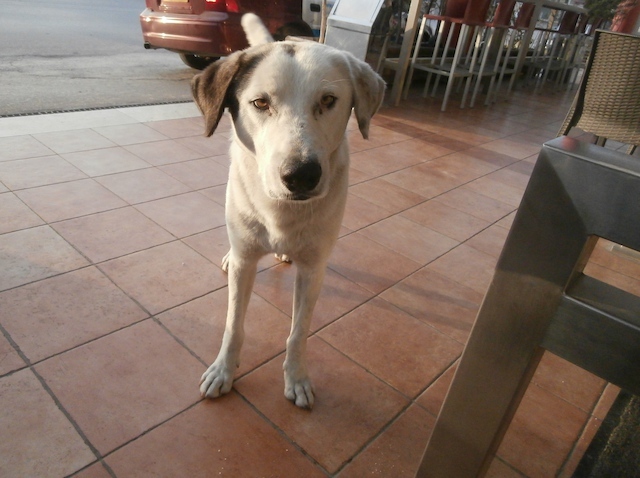 Before i light my pipe i saw this dog coming to me, i heard from bystanders that his name was Aries. Hey dude, your first cookie was Okie-Dokie, fer sure you would spare another one aren't ya? About a quarter of the way through this bowl of HU Directors Cut in a smooth straight Lane era Charatan Executive Extra Large stretch apple with diagonal channel cuts on the lower right and left of the bowl along with a black vulcanite double comfort stem. This pipe was formerly owned by actor William Conrad. 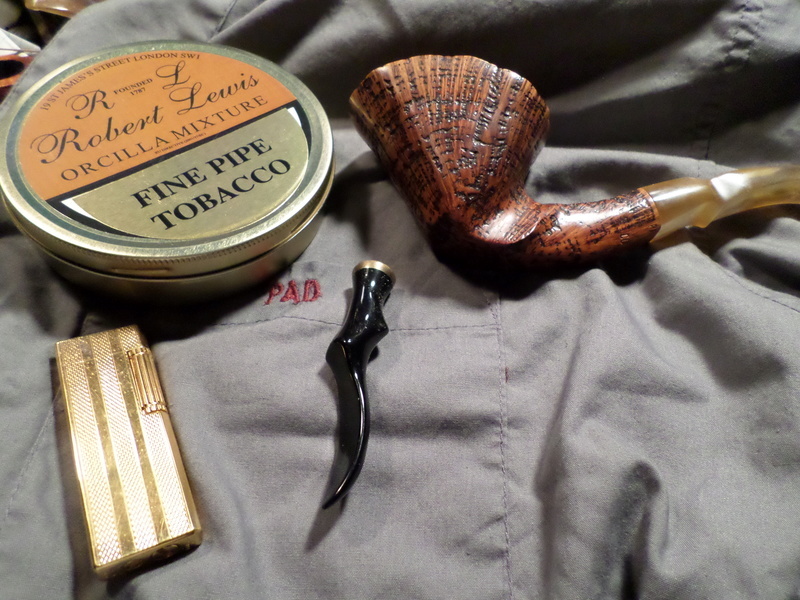 Listing this some minutes early: Old Dark Fired in a 1970s GBD Prehistoric Rhodesian 9438 with a perspex stem. Ice tea and bergs is my drink. 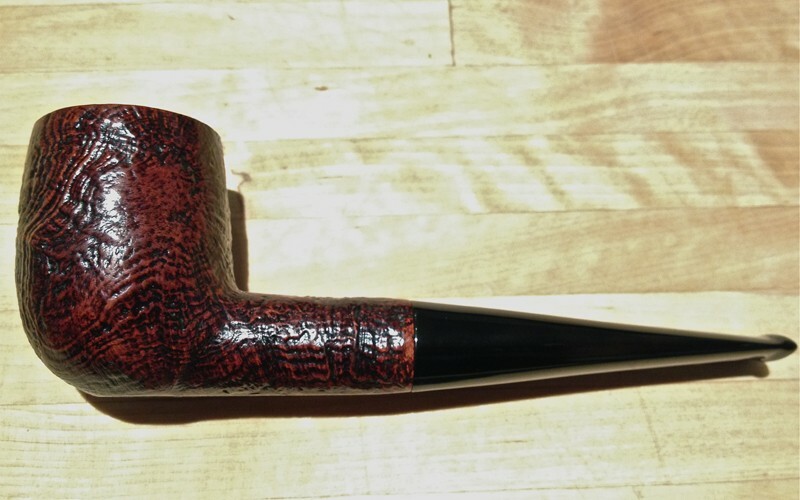 John Patton's Storm Front 70% and GLP Sixpence 30% in my BBB Best Make Smooth Billiard pipe. My Budd III in the Eagle Claw Egg Meerschaum pipe I purchased in an open air market while visiting Turkey back in 1987. Getting some home made 'Perique' dried out and about to blow my own mind.... Just finished a chicken fried steak, baked potato, and eggs, so it shouldn't set me too back on my heels! Smoking it in Grandpa's old cob. Granger, over 35 years old in a restored ( original owner ) Grabow Viking pipe with a black sandblasted Billiard bowl. One of my first 4 pipes I purchased back in 1969. I still remember smoking this pipe while driving my 1967 Oldsmobile 442....what a car!! THOSE WERE THE DAYS! 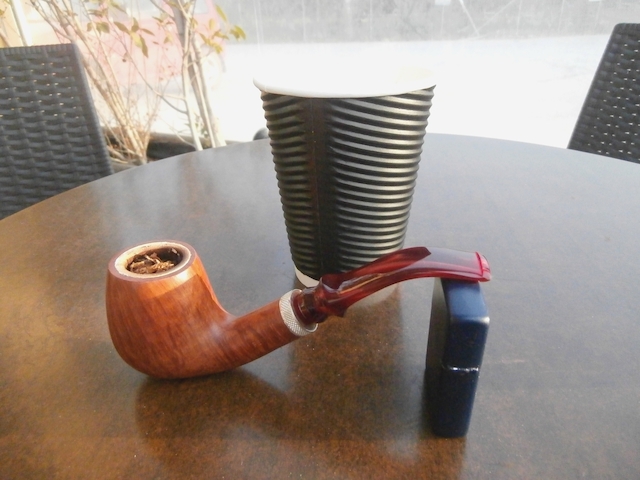 H&H BlackHouse in my T. Cristiano smooth Billiard Bosso pipe with a square shank.